On its penultimate day i.e. 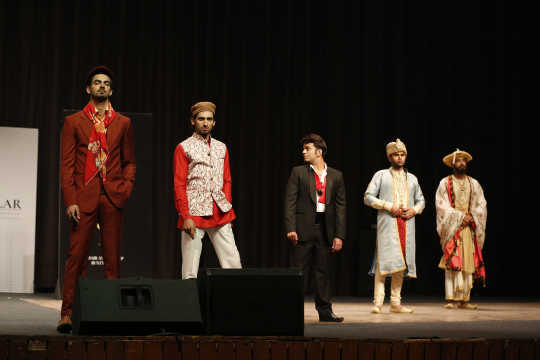 19 January 2019, the first Diorama International Film Festival & Market organized the Cultural Evening: Exposition of Costumes in Hindi Cinema – A Retrospective, at Siri Fort Auditorium in New Delhi. The fashion show was realized by designers Mridula and Anju of the brand Collar from Mehrchand Market, Lodhi Road, Delhi. The hair and make-up were done by Bunty Arora. The designers reimagined a contemporary take on iconic male costumes from Hindi cinema. 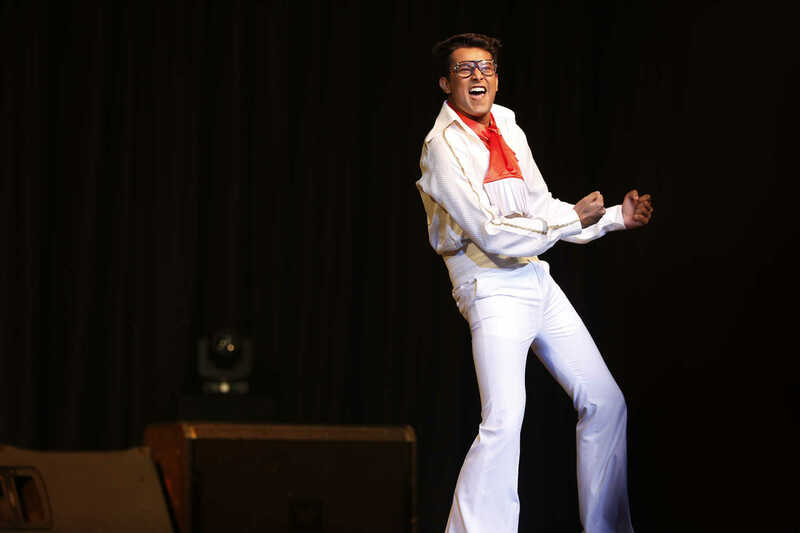 These included iconic looks like those of Raj Kapoor from Shree 420 (1955), Amitabh Bachchan from Yaarana (1981), Hrithik Roshan from Jodhaa Akbar (2008), among others. The format of the show included models dressed in these costumes and walking onstage to the track of the respective film which inspired the look. The chief guests for the show were Gopal Krishna Agarwal, national spokesperson (economics), BJP; and Sandeep Marwah, founder of Noida Film City and director of Asian Academy of Film & Television & Asian School of Media Studies. The guest of honour was Dr Manorath Khullar, doctor to the president of India and a renowned dermatologist-trichologist for Hollywood and Hindi film stars. Agarwal and Marwah congratulated the festival for its attempt at bringing a film industry to the city of Delhi. 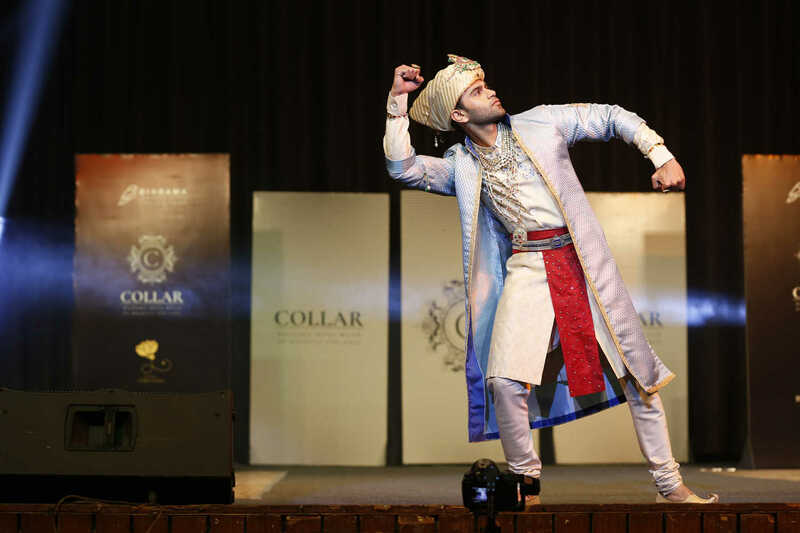 They expressed their intrigue and admiration for the novelty of a retrospective fashion show dedicated to the history of Hindi cinema and the impact it has had on the fashion of popular culture within the Indian psyche. The evening was hosted by actress Aarti Khetarpal. The showstoppers for the evening were rising actors Masoom Singh of Back to Dad (2017), Ankush Bahugana, writer-actor-social media influencer, and actor-model Aryeman Bhatia. The first Diorama International Film Festival & Market was held from 14-20 January, 2019 at Siri Fort Auditorium in Delhi. It showcased over 130 films from 50 countries, workshops, networking sessions, film bazaar and cultural evenings.